For the last couple of decades Willow Creek Community Church outside of Chicago and Saddleback Church in Southern California have been the twin towers of influence in American evangelical circles. Thousands of churches have sought to emulate their success by adopting Willow Creek’s seeker church model and Saddleback’s purpose driven church model. But in the last several year’s Willow Creek’s and Saddleback’s influence has begin to decline. Pastors and Christian leaders have been looking elsewhere for ideas, resources, and leadership. More and more of them (especially those in their 20s and 30s) are being influenced by churches like North Point Community Church in Atlanta, led by Andy Stanley, and LifeChurch.tv in Edmond, OK led by Craig Groeschel. There are some obvious reasons for this, but there are also some not-so-obvious reasons. Let me start by saying both Willow Creek and Saddleback have been very influential in my own life. The church where I’m a member and serve as an elder uses Willow’s seeker model, I’ve participated in numerous Willow Creek conferences, and I’ve read several of Bill Hybel’s books. I’ve also not only read both Purpose Driven Church and The Purpose Driven Life but taught classes on PDL. I have a ton of respect for the way God has used Bill Hybels and Rick Warren to shape the Christian church in the U.S. from one that was a few decades ago largely stagnant, inwardly focused, and losing relevance to one that is… well, ok, so it’s still largely stagnant, inwardly focused, and losing relevance. But there are thousands of churches and millions of Christians in America who are not content to hide from the world inside the walls of the church and I believe that is in part because Bill Hybels raised the value of being culturally relevant and Rick Warren raised the value of being purposeful in what we do. So, if you were hoping for a hit piece on Bill Hybels or Rick Warren, you’re going to be disappointed. Willow Creek and Saddleback are still hugely influential in American evangelical circles but not like they once were. From what I hear, the Willow Creek Association is in financial turmoil. They have been laying off staff. This year they are not hosting conferences for student ministry, children’s ministry and small group ministry. Those conferences are only available via satellite. I’m not as up on what’s going on at Saddleback, but the 40 Days of Purpose campaign has pretty much run its course and Saddleback no longer offer the Purpose Driven Church conference. I believe one of the biggest factors that determines which people and organizations rise to prominence is their mastery of the primary mediums of communication of their day. Most of you are probably familiar with the story of the Nixon/Kennedy debate – those who listened to it on radio thought Nixon won, those who watched it on TV thought Kennedy won. Eventually Kennedy went on to win the election, in part because he was more effective in his use of the rising medium of his time – television. 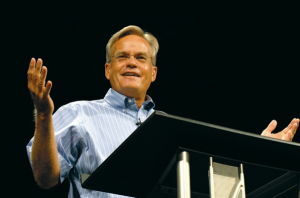 Bill Hybels and Rick Warren rose to prominence in part because they are masters of the mediums of communication that were most influential in the American evangelical church in the 80s and 90s. First, they are exceptional orators. Many pastors view the Sunday message as the most important part of their job description. So, nothing stirs a desire in a pastor to emulate someone like seeing them deliver a powerful sermon the leads people to commit their lives to Christ or take bold action in their walk with Christ. Second, they are fantastic authors. Warren and Hybels have sold tens of millions of books each. Pastors and Christian leaders love to read influential books, and it would be hard to name any Christian writers – pastors or otherwise – in the last 2 decades who wrote more influential books than Warren and Hybels. Third, they put on great conferences. Pastors and Christian leaders spend almost all their time giving and serving others. Leadership conferences are some of the most uplifting, filling days of a pastor’s year. Willow Creek and Saddleback are well-known for putting on some of the most inspiring and thought-provoking conferences in the world. I’m sure you could point to lots of factors in the rise of Willow Creek and Saddleback. Hybels and Warren are very intelligent, they’re gifted leaders, they appealed to a felt need, and they surrounded themselves with top-notch staff. You also can’t deny God’s influence in their lives and their ministries. But from a purely technical standpoint, I think it’s clear they are master communicators. In the last decade we have experienced a revolution in communications technology. Sermons, books, and conferences are still important, but today online communication is shaping the way people think and act even more. Other churches have taken the lead and become masters of the new mediums of communication, churches like North Point and LifeChurch.tv, which now has 14 campuses in 6 states. First, they’re multi-media masters. We have become a media-saturated, ADD culture. Few people can stand behind a pulpit and hold people’s attention for a half hour, much less inspire them to real life change. Churches are making increasing use of media, specifically video and LifeChurch.tv and North Point have been leading innovators in this area. LifeChurch.tv was one of the first churches to video-cast their services and one of the first to create an online campus. LifeChurch.tv also broke the mold when they decided to make all their media and creative work available for free at http://open.lifechurch.tv Now, thousands of churches are reusing LifeChurch.tv’s media. Second, they’re exceptional bloggers. Blogs have become the preferred medium for discussing new ideas, creating movements, and inspiring action. A blogger can write an article and it’s instantly available to millions of people around the world. Those readers can comment and interact. The author can reply and continue the conversation. 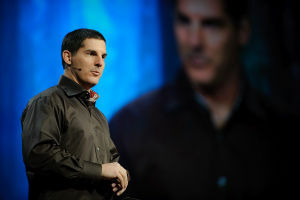 LifeChurch.tv’s blog Swerve is a must read for any Christian leader. Senior Pastor Craig Groeschel and other staff post there almost daily. Not only that, but many of LifeChurch.tv’s staff like Tony Steward, Terry Storch, and Scott Williams, have their own forward-thinking, highly-trafficked blogs. North Point’s influence in the blogosphere is different, but perhaps even greater. North Point itself doesn’t have a blog (though the Buckhead campus does) and neither does Senior Pastor Andy Stanley. But North Point’s current and former staff include some of the most influential Christian bloggers on the planet like Carlos Whittaker (Ragamuffin Soul), John Acuff (Stuff Christians Like) and John Saddington (Church Crunch) These guys are not only creative, authentic, and fantastic bloggers, but they support and encourage others within their sphere of influence to blog and so their influence continues to grow. 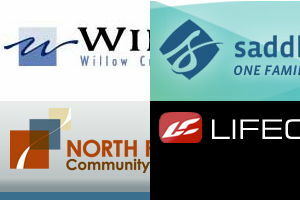 Willow Creek and Saddleback have been slow to adopt to blogging and social networking. I don’t know if the churches themselves have blogs, and I don’t know if any of their staff have blogs or Twitter. They just never come up in the conversations (blogs are tweets) I follow. Sure, my perspective is limited to the blogs and people I follow on twitter, but chatter about Willow Creek and Saddleback is surprisingly quiet. The fact that chatter about Willow Creek and Saddleback is surprisingly quiet doesn’t mean they’re doing less or wandering off the right path, though they could be. Nor does the fact that LifeChurch.tv and North Point have gained immense influence mean that they are better at doing church than anyone else, though they could be. What it means is that right now LifeChurch.tv and North Point are more effective at communicating than other churches. Their staffs get today’s media better than anyone else. I'm going to have to seriously disagree with this article. Since when is influence based upon how well or not a church embraces technology? I really don't see the point here. I would say that Lifechurch.tv and North Point have greatly enhanced their visibility due to their embrace of social media and their web presence. But that doesn't say anything about their influence nor the lack thereof on the part of Saddle Back and Willow Creek. Don't get me wrong. I am huge fan of Lifechurch.tv and North Point as well as what they are doing. I have communicated with several of the people you have listed here. It's fantastic to see what they are doing to advance the Kingdom and I am looking forward to the launch of North Point Online. But we shouldn't confuse web presence and visibility with influence. It isn't the same. I have some thoughts to inject into this discussion. Comparing the four ministries as some of you are doing, trying to determine if one is failing and another is succeeding, is one exercise. However, it seems you might also compare Matthew, Mark, Luke and John. When you study these four you surely find differences, but they each had a message to communicate and we learn that at the center is the Holy Spirit guiding them. One of them is not better or worse than the others. They are central to our understanding the ministry of Jesus Christ and the commission He gave God's people and the church. I live near the leadership of LifeChurch.TV and know their influence better than some of the others being discussed. I also know a good bit of Andy Stanley. These two leaders are godly men. They have sold out to Jesus Christ. I believe, with all my heart, if Jesus Christ was walking by these good men and commanded them to follow Him in a new work–they would immediately leave their nets and follow Him. South of me, Texas, is another cutting edge minister, Ed Young, Jr. Ed is pulling large crowds and shaping lives. All over this country you will find men like these who have adapted their ministries to reaching people in ways that were not possible only a short time ago. These successful ministries do not take away from the older, more traditional worship services. Such churches are still needed and still used of God. Down through the long years of history churches have been successful, grow in membership and have goodly numbers attending only to find over time many of the churches wilt and lose attendance and fade away. That is just a fact of church. God usually blesses a man. That man will grow a ministry that the Lord helps him to build. Men grow old and die. Often times their works wilt within 25-30 years of the death of their founders. Then the remaining body is only a reflection of their former glory. Look at the churches in the Book of Revelation. Rather than be critical of these current leaders, find a way to bless them and praise God for them. They are reaching people that Christ died for. One of the comments suggested if you don't see healings and casting out of demons and raising of the dead that somehow these new ministries are not of God. Nonsense. Jesus Christ performed those outstanding miracles and signs to prove that He was, indeed, the Christ. Otherwise, Israel would never consider Him to be the One they had been taught to look for. Jesus made a legitimate offer of His Kingdom to Israel, but that offer and Him were rejected. However, that rejection opened another door where the gentiles would now have a special invitation to join God's family. Look at the conversion of the Apostle Paul. You don't find a great emphasis from him on raising the dead, casting out demons, healing the sick, or even baptizing people. He exercised some of those, but such was not a big part of his public work. Would any suggest Paul was not filled with the Holy Spirit? Paul said he was called to Preach the Gospel–he defined that Gospel in 1 Cor. 15. The greatest miracle of all time is leading a precious soul to Jesus Christ. Nothing compares to that. A soul saved is a man raised from the dead (spiritually); is a man blind and made to see (spiritually); a man lost, but now found. Now we all know that God still has the power and many times the will to heal the sick and do other mighty things. But the emphasis today is to preach the Word of God. It's not to build cathedrals and monuments to Christ, but to reach out to this lost and dying world of sinners. It is also to disciple those new converts. I suppose one of the great works some of these new, mammoth churches are doing is training baby Christians and growing them up at first with the sincere milk of the Word and then teaching them to eat strong meat. There is more depth to these works than might first appear to the casual observer. Multimedia is a tool made available for this generation. In the days when Jesus walked the earth He painted Word graphics for us–the fig tree, planting seed, hiding the talents, etc. We visualize those illustrations. He didn't use a video projector, because it was not available. I believe if He were here today doing ministry He would not hesitate using the tools of our time. No reason to think He wouldn't. That is not to say that everything a church presents today would have a 100 percent stamp of approval of Christ, but much of it He would and does bless. Let's be slow to slam those men who are doing a good work. It may not be a work you would do, or want to do, but surely we can agree they are getting some good work done. Sometimes we look on these mega churches like the smaller merchants look at Wal-Mart. Surely that mammoth company is taking business from their stores. Dr. B. R. Lakin, a minister that preached on Dr. Jerry Falwell’s TV program several times, said, “You can’t steal satisfied sheep.” There’s some truth to that. The smaller, more traditional church still has a role—an important role. These churches have members who need the teaching and preaching and care that only a community church is traditionally known for. In some cases they might be doing a more effective job with their particular congregations. Don’t knock them either. All these Bible-believing churches make up the tool box that God is using to bring in His harvest. Do not fret, there is a Judge who will consider all sides of each work. He knows the perfect truth of all things. He can see the motive of the heart. No one will get to Heaven without being converted. The Holy Spirit has not been replaced, nor sidelined. The Word of God is still effective today. Jesus Christ is still the Lord of lords and will soon be, I believe, the King of kings (He owns that title now, but soon will hold it publicly). The church is alive and well. There are more sinners today–more living sinners on the earth today than have, I believe, lived in all the generations past combined. If that is true—and I believe that it is–there is more obvious need of the church than ever before. If it seems we are losing ground it is because we are! The fields are white unto harvest and we are not praying the Lord of the harvest to send forth more workers. Instead we slice up the crop of workers already in the fields and suggest they are not doing the work of God as they should. Remember what D. L. Moody (the Billy Graham of another generation) said when a preacher suggested he didn't appreciate the methods he was using to win souls? Mr. Moody asked him what methods he was using and the man quickly said he was not doing this work at all. Mr. Moody said, I prefer my way over yours. Now I have probably butchered that story, but you will surely see his point and mine. If we wait until all of God's ministers do the work of God exactly the same way, I fear we shall lose even more ground and the whole world will go to Hell. If you must judge a brother–judge his preaching–is he preaching the Word of God? If so–let him be. Pray for him to be more effective. Pray he will have even more of God’s power for winning the lost and for teaching the Christians. Surely you remember the story of the tares. If one of these growing congregations is producing new Christians—that reflects the work of the Holy Spirit. Churches don’t save people—churches don’t help keep people saved. That is God’s work and always has been His work. God lets us cooperate with Him in this blessed work. But at the end of the day we are workers. Let it be said we are working with Him, not against Him. I think one simple reason for this is that the two churches “on the rise” are newer. Ron, Your post was a bit long, LOL; however what you have written is so inspiring that I just had to thank you. I think you are a very wise man. It’s a lot to think about. I believe this blog thread got so far off track because well-meaning people (including me) worried about the “unsanctified mercy” part which really wasn’t the topic of Paul’s blog. He isn’t asking us whether we think what WC and SB are tweeting, etc., fits our own doctrinal molds but whether their reach could be better if they DID tweet, etc., more. Whether or not I’m a fan of theirs, if our job is to share the gospel, and the gospel is the Good News of Jesus and His great love for us, then that’s a good thing. I pray for guidance and fruitfulness for any sincere Spirit-led believer who wants to further the cause of Christ by whatever means He provides. I’d venture to say that precious few of us are spreading this message in a very big way… so we’d best be careful because when we point the finger, four are pointing back at us. And here I was thinking that Willow Creek and Saddleback were local churches, primarily focused on impacting the people who live in the areas in which those churches have been planted. Instead, now I realize that we should measure a church’s influence by how many other churches copy their lead, rather than innovating by the direction of the Holy Spirit. Bill, thanks for another thoughtful reply with some excellent points. Kurt, thanks for pointing out Twitalyzer. I’ll take a look. Rick Warren clearly has a lot of influence via Twitter. He had something like 10k followers before he even started tweeting about month ago. So many good comments with good points I’m considering a part 2 to this article to address them. I attended both the Leadership Summit and Catalyst in the same year. The Summit is hugely professional and very well done, and taught and inspired me. Catalyst showed me what God is doing for the next 40 years in helping people to repent and believe the Gospel. I, and the church I lead, will never be the same. Great move for the Summit this year to bring in Tim Keller. They need to bring in the people who are radically changing people for Christ. If you attend these conferences in the same year, you will see why things are trending the way they are. It does feel like there is an influence shift at work, but really all four of these churches and their ministries to other churches ought to commended. Thanks for the spirit of this post. For what it’s worth, I think that Saddleback’s “decline” in influence in the US is directly tied to the huge investment that Rick and the church have made globally. Rick grew up an army of deeply committed believers and friends over the first half of his ministry and is now busy mobilizing that army to meet the Spiritual and real world needs of a lost and dying globe. Most of the focus of his energy has shifted from US pastors to his local church, the Global PEACE movement and international pastors. Saddleback is now influencing the world in a way that few local churches ever have. I have no doubt that Rick applauds the work of those who are in an early stage of ministry like Andy and Greg. Praise God for the leadership of all four men. May God continue to raise of innovative leaders who love the Word of God and the Mission of Christ in this world. Willow Creek has impacted MY life. It’s “influence” is both broadbased and eternal. Thank you, Bill, for standing firmly on the Word and proclaiming its message creatively each week! I follow Jesus a little bit closer today because of the challenge I receive from Willow Creek’s ministry. Thanks for your insight though perhaps a little subjective. Churches make a conscious decision on how to go about reaching the lost for Christ. We are so blessed with today’s technology but again choices are made on how and when and if to use it. The churches you refer to ALL use technology but some, like yourself, may not necessarily see the results beyond the surface…I.E. : counting tweets. Saddleback’s internet campus is located at: http://saddleback.com/blogs/internetcampus/index.html and includes links to their Blog; Twitter; Sunday services live feed; and much more. I don’t believe it is necessarily fair or accurate to gauge a ministries effectiveness or influence when you know so little about them, their networks, their staffs, etc. I do however find it rather odd that you had no idea that Rick Warren has a Twitter account, as well as, many of his staff members. Nick, that’s not accurate. If you reread the “I Heart Bill and Rick” section of the post, you’ll see both Willow Creek and Saddleback have been influential in my life. I said “I’m not as up on what’s going on at Saddleback” meaning I don’t know whether they are cutting budgets, staff, and programs like Willow is. 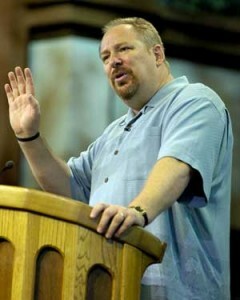 Also, I have been aware of Rick Warren’s Twitter profile and have been following him for a couple of weeks. I wasn’t aware of other Saddleback staff on Twitter, but I think that’s mostly because except for Doug Fields they just don’t have numbers that compare with those cited in the article. As my own learning and inspiration has shifted from conferences and books to blogs and online conversations (and before the critics bash me, this learning and inspiration is secondary to that which comes through scripture and prayer), I’ve found North Point and LifeChurch.tv people writing those blogs and leading those online conversations much more than Willow Creek and Saddleback people. And I think most other people would agree. Just a quick comment, I think you are right on about churches like LifeChurch.tv and North Point gaining influence, but Rick Warren has over 17,000 followers on Twitter, and Doug Fields is pushing 6,000. Just thought I’d throw that out there, ha ha. Willow Creek has a “Brand Architect”. I’m in the “demographic” of today’s social networking morass, and, to defy the amorphously grandiose generalizations out there, I hardly think these communications media define the end-all-be-all of not only ministry, but everything else in cultural transmission. In fact, in many ways, churches that are racing ahead of the pack to “keep up” and stay relevantly “in” with such media will quickly find themselves irrelevant and kitsch. The fact is, in any communications, art or media-related discipline, if you truly want to be radical or innovative or a step ahead, what you experiment with now will precisely be unradical, dated, and ignored by critical mass. The pendulum always swings back as it were: neo-soul movements in jazz/R&B, the DIY-filmmaking toasts/homages to Italian Neo-Realism of the 1940s and Cassavetes of the 1970s; even, Neo-Cons and Neo-Libs in politics. There really is nothing under the sun — no matter what Kutcher and is thousands-band of Twitter followers say! But my main concern is that with all of our focus on cool ‘video,’ pithy tweets, and what not, have we not become too mechanistic in ministry techniques, goals, “branding?” Am I being too “radical” or fundie here when I say, what hapened to the power of the Spirit? After all, we’re really following the Simple Way — one person, one life-giver — and surely, despite our best efforts with 1920×1080 HD, RED cams, Logic Pro, and the like for ministry, this ought to be enough. As a side note — I’m in NYC, the “trend setter” urban playground/cultural landscape of the world, and the real radicals, in my opinion, are those still handing out leaflets with old-school salvation messages. That’s like Christian Vandal. That’s radical. I have just finsihed reading most all the comments and I must say that God is so AWESOME. Let me first say that everything I wanting to say was said by many, but this I must add. Though I understand Paul wanted to stick to his subject, I believe God did not. This I feel is evident by the comments that continued even from leaders. Yes all the methods that God provides should be used but let me state clearly my heart. It should be what God directs through his spirit, it should never be our own decision or something that is based on what others are doing. If we follow the Holy Spirits direction in whatever method he directs us to use it will be successful. We must also not forgot that God does everything in seasons. He might have us using one method today and another later on. I do pose this very important question though and that is, what is the Spiritual benefit in discussing why or if one house is gaining or loosing momentum. That is not our business it is Gods. The only reason I joined in to read the articles was it was the only blog I saw listed. I am new to this site and was looking for articles to read and add my thoughts. May I ask the question of Paul, is there any other blogs where the non media comments would belong. I have been having a strong feeling ( i say this now because I not sure if it is God or not) to have my own website, page etc. where I can write what God directs, so that it will be a blessing to others. This I can for sure, even though you had other ideas for you blog Paul, God took control. As I read Tina’s, John,s, Wiley’s, Jerry’s, Paul Jacobson’s and some other comments it was truly powerful. God was confiming with me that he isn’t just speaking what I have been hearing only to me. God is in control and he is definately using this site. God Bless and thanks. David, I don’t think that just because several people try to take a blog conversation off its intended topic that we should use that as a way to discern whether God is directing the tangent. Good articles in and of themselves–good ideas about social media etc., but in short, I don’t think you’re right as to *why* Willow in particular has declined in influence. As a “Creeker” I have noticed –and felt– Willow’s loss of influence in the community and in my life. But I believe that the key reason why is that we lost our focus concerning our mission. In the 80’s and 90’s everyone @ Willow knew our mission, vision and then 7 step strategy. Starting at about 2002 or so, that focus diminished, and the services reflected it as well as ministries within the church. Today we are regaining our focus, thanks to Bill, who has stepped back into the lead pastor role at our main campus. Bill has reintroduced our mission and vision and plan, and that clarity is a huge help to all of the church’s work. NOTE: in the late 70’s and into the 80’s TV came into its own, what with cable becoming ubiquitous–and churches pounced on the opportunity. For example, the ACTS network that one of the Baptist denominations founded. Willow, on the other hand, has always shunned the idea of having a TV program. Despite the enthusiasm of many a denomination in those days, and despite pressure from others who would practically accuse Willow of being negligent to the community for not having a local broadcast, Willow has never gone in to TV. TV was the hot communication media right at the time that Willow Creek’s influence was really taking off. Yet Willow Creek shunned television broadcasting. Hmmmm… How then, did Willow become so influential in those days? My personal experience of that era: led by the Holy Spirit, Willow Creek communicated God’s truth to us in a way that my generation could understand. No television (we didn’t even have “IMAG” screens in those days), but more importantly, the content that we needed in a form that really made sense to us. 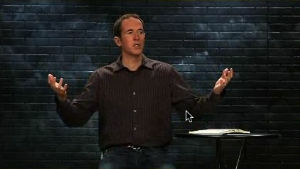 As for Andy Stanley: the main reason why he is so influential IMHO, is again content. He came to Willow recently to speak during the weekend, and I can say his message was amazing! There was nothing in particular about him that I would call unusual or different (that is to say, his style and skill is not really very different from dozens of teachers we have had @ Willow), but it was his content. God really spoke to me (and my wife) through Andy’s message. His message had a huge impact on me! Now that’s influence! On another note, one church that has had a huge influence on Willow Creek is Mars Hill in Grand Rapids, Michigan–Rob Bell’s church. When Bill Hybel’s daughter was on staff at Mars Hill, Willow’s own efforts in social injustice got a big boost. True, at about that time Lynn Hybels met Bono and he started having an influence on us re: AIDS, but Mars Hill had a lot of influence as well. I WOULD KEEP AN EYE ON MARS HILL amongst the churches who are rising in influence over the Christian community. Hey Brent, I appreciate your insight as a “Creeker.” I was talking more about the churches’ influence among other churches as opposed to their influence within their own communities. It’s interesting to consider how the two may be interrelated. I agree that Mars Hill and Rob Bell are also growing in influence. A large part of that has been through the Nooma videos. Wow, although I’m really late to this post this is a great insights in what influence is and isn’t. Yes influence amongst other leaders can lead and advance innovation – but at the end of the day, the reason why churches “succeed” is because they are making disciples. Bottom line. wanna influence other leaders? Do what Jesus commanded us all to do. Make disciples. It seems that the multimedia is one way to make disciples. People are hearing about Jesus and growing in Jesus because of the internet. In fact, the internet brings the church into our homes in ways that was not possible a few years ago. If used correctly, it will influence the younger generation for Jesus and maybe some of the older generation. 2. There’s not much blogging going on from Pastor Rick that I know of, but he is catching up. Rick is now on Twitter (@rickwarren), LinkedIn, has a Facebook page (Look for “Pastor Rick Warren”, “Author Rick Warren” appears to be an impostor). He’s always tried to stay on top of technology. Saddleback was the first church with a web site. If you’re a church planter and follow Rick on Twitter, please let him know you’re a church planter. He wants to connect with you. This article is informative but the title and possibly the angle in which it is written in my opinion is not healthy. We are not in competition with each other. This article makes it sound like no longer are willowcreek and saddleback competitors with other big dogs. That is reallly sick thinking, but that is really how this article title reads. The article should not have anything to do with losing influence. It should communicate some newly effective methods people are using to reach people. We are one Church in One Kingdom. I am for all of these guys that preach the gospel and win people to Jesus. This is something we have to get away from. This article is necessary but we have got to start writing articles that are in congruence with the spirit of Christ. Jesus said he that is greatest amongst you let him be your servant. This does nothing but strenghten fleshly instincts in the body of Christ. Once again the information is good but this article must be put together for the benefit of the body, all of these guys are in the body. The Holy Spirit is the influencers not intelligence, systems or techniques. This is to worldly of an angle although the content is informative. Please continue to inform us but do so as servants not in the spirit of the world. All leaders will be criticized no matter what they do. Comes with the territory. But, regarding the fall and rise issue, I think it is mainly attributable to the economy. Sure, keeping up with the trend-ist thing will have an effect, I don't believe either Willow or Saddleback are loosing out because of a lack of trend-consciousness. I do believe (I don't have any real data to back this up) that generational differences are largely responsible. Young adults are very relationship-oriented and tend to have a "pack" mentality. They tend to jump into whatever is the latest and greatest fad. But even blogging is very "yesterday" with teens – they are deep into texting. Older adults feel they are on the cutting edge when they start to use email, and now, even Facebook. The real question is do Christian leaders fall behind when they don't personally embrace the latest fad/technology? I say no; they do fall behind when they fail to embrace those who DO embrace the latest trends. today, because only HE was, and still is – the annointed one – who is worthy to open the book, and give the only correct interpretation of His Fathers Word. "Ye have but one teacher, and He is in heaven." "For all judgement hath been committed unto the Son." And the Son still today – giveth it to whomsoever He will." "I judge no man, for the Word shall judge him in the last day." We must very well be in the last days, for it is His Spirit, and the Word that judgeth all things." the judge, and "by His Spirit," is how it shall be done. Bless you ALL. Whether a church is actually influential / effective in the eyes of GOD is not determined by us. On that day, when we see Jesus face to face, HE will surprise us. So, I would be careful with this article. The Word of GOD taught that those who are "faithful" will be rewarded. Faithfulness, sacrifice, devotion… I would like to focus on following Jesus and not the church / the leaders in the church / the admired technology.